Quickly deployed, easy to board. The SWITLIK MRP-10 Inflatable Marine Rescue Platform is the rescue tool of choice by search and rescue teams and first responders around the world. 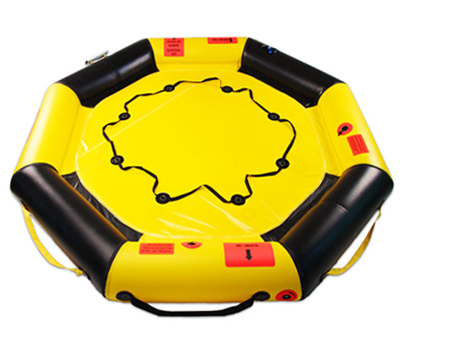 The quickly deployed and easy to board MRP-10, aids in getting large groups of distressed victims safe and up out of the water. The MRP-10 boasts a small and lightweight pack size in a soft valise weighing under 40 lbs. Its compact storage size makes it the best option for even the smallest vessels wanting to carry a rescue platform. The MRP-10 is easy to maneuver and deploy by anyone on board in the event of an emergency.